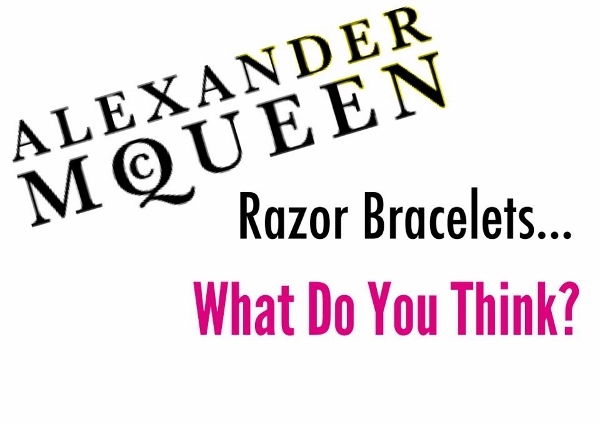 Alexander McQueen Razor Bracelets, What Do You Think? Whilst looking at some bracelets on the Selfridges website, I came across the strangest design of bracelet that I have ever seen! The bracelet is designed by the fashion house Alexander McQueen. 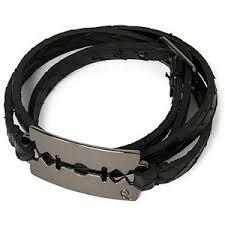 It consists of two pieces of patent wrap that are attached to a razor blade, to make a bracelet. They also sell a thicker version, both of which come in a variety of colours. I mean, am I the only one who thinks that it is wildly inappropriate? The use of a razor blade and the positioning of it, next to the wrist, is to my mind, making references to the very delicate subject of self-harming and even worse suicide. This surely can’t be a coincidence can it? One would hope that the razor is blunt and safe to wear, but still, it is making light of a very serious subject. 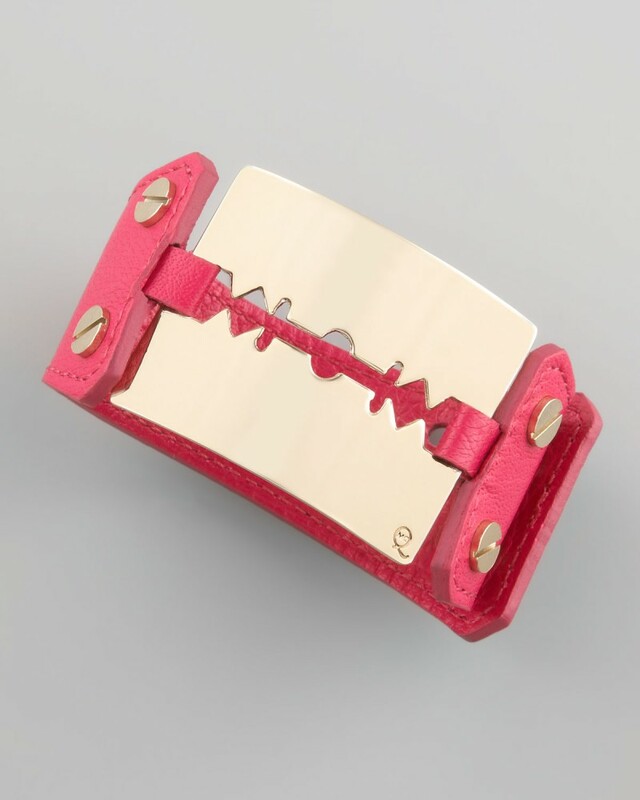 Is it planting the idea of self harming in the wearer’s head, as if it is in some way ‘cool’? Who came up with this design, and who ‘Ok’d it’? I certainly have a few things to say to them! One would expect the Alexander McQueen brand to be even more aware of the sheer devastation that comes from self-harming and suicide. One would imagine the people in McQueen’s fashion house would be more reverential to his memory. Alexander McQueen is a very popular fashion brand, their customers are usually the elite, celebrities and trend setters. One must consider the implications of public figures wearing these kind of bracelets. Sarah Jessica Parker for example is a huge McQueen fan, she is continually photographed in their attire, and subsequently people try to emulate her look. It is worrying that people who adore McQueen may just wear the bracelet, simply because of the label. These people have a responsibility to distance themselves from that way of thinking, and judge for themselves whether or not they think that it is appropriate. Lastly, one needs to question Selfridges’ role in this, for selling this distasteful product. I am not sure they understand the ramifications of making such things fashionable. In subsequent research I have found that Harrods, My Wardrobe and Harvey Nichols also sell these bracelets. I call for these shops to reassess their decision to sell this product, bearing in mind the possible consequences of their actions.